Over a period of five months preparations were made for the 8th Congress of the CPGB-ML. Branches, study circles and regional groups began to undertake the official preparatory work in June and delegates who were entitled to full rights were registered in accordance with the party rules. It was with pride that Red Youth had a number of voting delegates at the Congress, full party members in their own right as well as a number of qualifying candidates who were permitted to attend without vote. Our red youth were in the forefront in many of the debates on issues directly affecting British youth; housing, education, identity politics, racism and employment rights. Young trade unionists spoke of work they were involved in to reach out to workers in the ‘gig economy’ whilst others spoke about the plight of young unemployed workers, the struggle to get affordable housing, the pernicious influences of identity politics, and the right to education. Motions which were passed will be published alongside select speeches and contributions in the party press in due course. Our red youth acquitted themselves ably in the discussions and demonstrated a high degree of willingness to master the science of Marxism-Leninism during debates on proletarian culture, identity politics, philosophy and economics. At the close of our Congress many delegates were returning to their regions with plans for improving their local work especially amongst young workers. One delegate has left his employment voluntarily to take up an opportunity organised by the party to undertake significant solidarity work with Korean workers. Our comrade caught a flight to Seoul where he spends this month in solidarity work jointly with the PDP, struggling against imperialism and for the reunification of Korea in meaningful solidarity work, speaking at meetings of workers and taking part in demonstrations against the US military presence in south Korea. A full report of his trip will be found on this site soon. The following is the statement of Reuben Lawrence, made to a hustings meeting organised by Stirchley Forum. As Reuben was at work, he was not able to attend, and no-one was allowed to speak on his behalf. He was able to submit a brief opening statement and concluding remark, which are reproduced below. On the occasion of the centenary of the Great Socialist October Revolution, on the 6 November on BBC Radio 4’s Today programme, CPB General Secretary Robert Griffiths was invited to speak amongst a barrage of anti-communist propaganda. Rather than countering the inevitable and obvious attack with a defense of communism and the Soviet Union, he merely added that “we have had to make a very serious analysis of what went wrong in the Soviet Union… we have to take seriously the reasons as to why in the end that system was not sustainable.” He then goes on to say that we need to replace British capitalism with a “fairer society”. Having just described communism, which was immensely successful in the Soviet Union, as “unsustainable” Rob now leaves us wondering what British capitalism could be replaced with? 100th Anniversary of the October Revolution: Join us in Southall on Saturday 4th November! On the 100th anniversary of the great Socialist October Revolution, join us to celebrate the victorious struggles of the mass working class. We will come together to celebrate this working-class revolution, which literally shook the world, and still indicates the path we must take to shatter all exploitation of man by man and nation by nation! We will be holding THE centenary celebration of this festival of progressive humanity in Southall, west London, on Saturday 4th November, at 4.30pm. At this meeting, we will bring together members and supporters from around the country and mark the continued development and growth of our organisation, while reminding ourselves of just what it is we are working towards. Over the years, the speakers at our meetings have examined in great detail all the most important aspects of the October Revolution. They have paid tribute to the men and women workers who carried out the revolution, and to the leading role of the Bolshevik party – the revolutionary organisation in whose footsteps we hope to follow, which enabled the workers to understand their enemy and to organise themselves to defeat it. Importantly, in the present climate, our speakers have repeatedly stressed the vital role played by revolutionary theory – especially the immense theoretical contribution of Vladimir Ilyich Lenin, who advanced Marxist science by adding to it a precise definition of imperialism (the final stage of decaying capitalism) and who detailed the ways in which imperialism affects the struggle of workers and peasants of all countries for their liberation and social emancipation. It was Comrade Lenin who created the template for a revolutionary party, working out in the furnace of intense class struggle the essential elements of communist organisation that enabled workers to make their efforts effective. All parties that are serious about overthrowing capitalism and building socialism still follow these organisational tenets today. Lenin was also a master of strategy and tactics. He solved many important questions, such as the peasant question and the national question, by clearly and precisely explaining their relationship to the socialist revolution. He demonstrated the need for the proletariat to maximise its forces by galvanising as many allies for each phase of the struggle as possible, and showed how it was both possible and necessary to take on the various enemies of socialism one at a time rather than all together. Unlike Trotsky and his modern-day followers, Lenin did not play at revolution, and was not at all interested in heroic failures. He understood that what was at stake was nothing less than the future of humanity, and he taught the working class how to think and act so it could win. 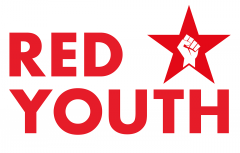 One thing Red Youth needs to establish if it wants to be a genuine Marxist youth organisation is whether or not, and if so why, Marxism-Leninism is what the young people of Britain need today. Naturally, we would argue that Marxism-Leninism is exactly what the British youth of today need – and in this article we’re going to use education and employment as two major reasons as to why that is. Harpal Brar gives a message of greeting message on the significance of the 100th anniversary of the Great Socialist October Revolution. We will be holding a centenary celebration of this festival of progressive humanity in Southall, west London, on Saturday 4th November, at 4.30pm. General Election 2017 – what does it mean? It was widely believed at the beginning of the election that the Tories would win a landslide, as Labour trailed 22 points behind in polls, and 80% of Labour MPs opposed Corbyn’s leadership, openly declaring him to be unelectable, along with their colleagues in the Tory party and the bourgeois media. Even during the election campaign the majority of Labour candidates refused to acknowledge or support Corbyn, and many openly opposed his manifesto. But Corbyn surprised his critics, fighting a dynamic and engaging campaign, winning the support of youth in particular with more new voters enrolling than in the Brexit referendum. Despite this Labour lost the election but increased its number of seats. The Tories failed to win an absolute majority and were forced to conclude a grubby pact with the DUP, who even they find socially reactionary, though politically they are cast from the same mould. Corbyn has secured his leadership of the Labour party for now. Despite all the talk of Corbyn being a rabid left-winger he has fought on a moderate social-democratic platform akin to many across Europe, and he certainly has not threatened the economic workings of the crisis-ridden capitalist system, which is the root cause of the austerity agenda he claims to fight. Meanwhile Momentum continues to attract all the fake socialists who continue to believe in pie-in-the-sky solutions to capitalism. The truth is, without overthrowing capitalism there are nothing but hard times ahead for the British working class and workers of all countries. The communists support every struggle of the working class to fight for improvements in their conditions, but this support seeks at the same time to convince workers of the need for proletarian revolution, not to lull them into the false but reassuring belief that their needs can be met within capitalism. No amount of tweaking at the edges of economic or foreign policy is going to make this parasitic and dying system serve the interests of the working class or cure the chaos in which we now find ourselves. The programme of the Labour party is, at best, a prayer that the ills of capitalism can be solved within the capitalist system. Our position is that, with the best will in the world, they can’t. Workers’ salvation lies not with Saint Jeremy or Stern Theresa, but with the workers themselves. Unpalatable as this truth may be, ultimately we will not be able to vote our way out of the crisis. Either the crisis will lead the working class deeper into poverty and war, or workers will organise themselves to defeat the crisis by overthrowing capitalism and building a socialist society that is capable of meeting their needs. It is important in the face of the government’s malicious project to downsize the NHS to the point of forced privatisation, that we don’t forget the other major attack currently being launched against the working class of this country – the academisation of our education system. The ruling class’ plan for “all schools to become academies”, as was announced in the 2016 Budget, and then clumsily retracted, is not a plan that is going to disappear for long; it is inevitable under capitalism. State education costs far too much for the government to manage, and it is much more profitable for them to hand over the responsibility to school ‘sponsors’. However, simply doing so in the public eye would never work, so they have hidden behind words like ‘academisation’ to disguise what is really going on here: privatisation. The horrific bombing of an Ariana Grande show at the Manchester Arena, which has claimed the lives of 22 people, including several children, has its origins in the imperialist war against the independent states of the Middle East and North Africa. If we really wish to see such terrible acts stopped, we must stop our ruling class from sponsoring them abroad. The bomber, Salman Abedi, was the 22-year-old son of anti-Gaddafi Libyan exiles, and reglarly made trips to Libya after the country was destroyed by western imperialism and its terrorist proxies. Libya, which previously had the highest life expectancy on the African continent, guaranteed healthcare and education, among many other fantastic programmes for its citizens as well as other African nations, had long been a target for destruction by European and US imperialism. Much ado has been made in the revisionist camp about the necessity of supporting Labour, which means, in their view, to completely abandon all revolutionary communist slogans and positions, including minor details such as the dictatorship of the proletariat. To them the most revolutionary act is to tell the working class that Corbyn and Labour are there to solve all our problems, and that all we need to do is to vote Labour on 8 June. To justify this they frantically dredge up quotes from Marx about the situation in 19th century Britain (before the bourgeois state apparatus had been fully developed and deployed in Britain), and very select quotes from Lenin’s “Left-Wing” Communism: an Infantile Disorder. Let’s look at the context of that chapter. “Left-Wing” Communism in Great Britain was written in 1920, 4 years before the very first Labour government. It was written before a communist party was established in Britain. In their conferences in 1923 and 1924 the Labour Party would vote against CPGB affiliation, and bar communists from Labour Party membership and support.